ON OCTOBER 18, the Québec National Assembly adopted Bill 62, making it illegal to wear a mask or any other clothing that covers the face when providing or receiving public services managed by the province or by municipalities. The law will primarily affect Muslim women who wear niqabs or a burqas. This is the first piece of legislation to be adopted in Québec after 10 years of debates on the definition of “secularism” and religious diversity. 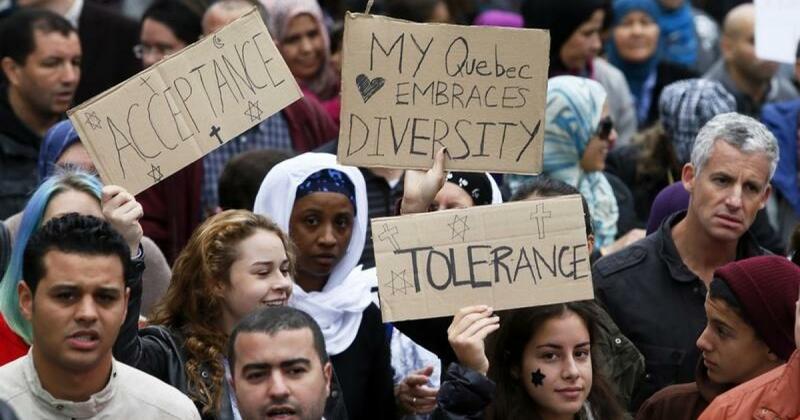 As with similar debates in France, the notion of Québec as a secular society – encapsulated in the phrase “laïcité – has increasingly been used to primarily target the rights of Muslims. All three opposition parties opposed Bill 62, but for two – Parti Québécois (PQ) and Coalition Avenir Québec (CAQ) – it was because the bill wasn’t restrictive enough. PQ and CAQ wanted a law that would ban any prominent religious garb – including the hijab, the head covering worn by some Muslim women; turbans worn by Sikhs; or kippahs worn by some Jewish men – for most or all public servants, following the example of France and other European countries. Only the left-wing party Québec Solidaire (QS) criticized the new law for infringing on the rights of women who wear a niqab or a burqa. In its response to the passing of the bill, QS pointed out the absurdity of allowing these women to take taxis, but not buses, to go into book stores, but not libraries, etc. Unfortunately, though, the QS response has been weak and superficial overall, with complicated formulations that hesitate to call the law what it is: a legalization of discrimination based on Islamophobia and a concession to the racist segment of public opinion. SINCE 2007, there has been a debate over what “reasonable accommodations” the state should provide for those who practice various religions. 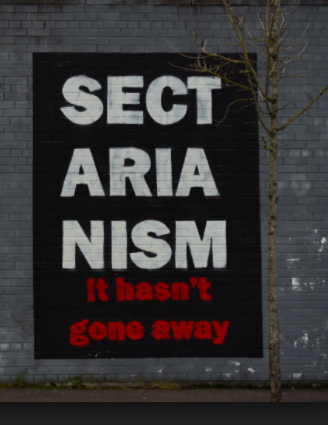 The theory among leading QS figures, including its elected members of the National Assembly (MNAs), has been that the best possible outcome would be some broad compromise between most or all parties–under the theory that this would be the only way to prevent this type of media-fuelled political circus from further damaging relations between the majority of the population (which is generally agnostic, but with a Catholic background) and religious minorities. Others in the party, including the author of this article, have pushed for a principled opposition to any legislation targeting Muslim women or other religious minorities. We have said repeatedly that no amount of discrimination should be acceptable for us – but also that no legislative measures will ever be enough for the racists, who will continue to push until those they consider a threat are deported or decide to move to other parts of Canada. There is no balanced approach when it comes to human rights. It should be noted as well that Québec’s National Assembly passed a motion in 2015 unanimously opposing Islamophobia, at the instigation of former QS Member of the National Assembly Françoise David. But the passage of this new bill and the debates around it seem to indicate that none of the 125 members of the assembly fully understand what Islamophobia means–nor how their proposals and statements often fuel it. Simply implying that the 100 or so niqab-wearing women in Québec are a problem is Islamophobic. Arguing that judges or police officers should not be allowed to wear a hijab – as QS MNAs have argued since this was recommended by a special provincial commission in 2008 – is also Islamophobic. Throughout the 1960s and 1970s, the federal government repeatedly violated the human rights of the people of Québec by denying our right to self-determination – similar to what Spain is currently doing today with Catalonia – and engaging in systematic police surveillance of pro-independence movements, socialists and radical union activists. This culminated with the War Measures Act of 1970, when the army was sent to occupy major cities in Québec. The police proceeded with thousands of home searches with no warrants and hundreds of arrests with no charges. When the first PQ government passed the French Language Charter (Bill 101) in 1977, several organizations representing the English-speaking minority, backed by the English-language media and federalist (anti-independence) politicians, attacked that government for infringing on their human rights. This was nonsense. Bill 101 declared that French was the only official language and included incentives for large businesses (50 employees or more) to adopt French (the main language spoken by 85 percent of the population) as the language of the workplace. It also required all children to attend French schools, except those of parents who had gone to English schools in Québec. It demanded that department stores and other large businesses use French on their storefronts. It was a symptom of the problem that downtown Montreal in the 1970s looked just like downtown Toronto, including English-only signs. It was also unacceptable that businesses owned by U.S. or Anglo-Canadian capitalists, but with a French-speaking workforce, would conduct their activities in English. Bill 101 was about the right of the French-speaking majority of Québec to live their lives in French, and for French-speaking workers to work in French. But of course, this went against the privileges of the English-speaking minority, a community with a long history of racism against the French-speaking majority. Calling the movement for Québec independence or the measures taken to preserve the French language “racist” was precisely like using the term “racism against white people” to attack affirmative action and policies aimed at improving the situation of people of color. Calling the movement for independence racist and comparing it with Nazi Germany was commonplace in the English media and political discourse until the late 1990s – in the period of panic surrounding a 1995 referendum on whether Québec should proclaim national sovereignty and become an independent country. The movement for Québec sovereignty lost that referendum by only 1 percentage point, with a turnout of over 95 percent. The constitutional crisis leading to that referendum began when the other nine provinces and the federal government reached an agreement without Québec to change the Canadian constitution and make it a Canadian law. It had originally been adopted by Britain’s parliament in 1867 and could only be modified through London. This new constitution included a formula for amendments making it possible for the rest of Canada to change it further without the consent of Québec, the only province with a French-speaking majority. It also included articles designed specifically to undermine the French Language Charter adopted in 1977, bowing to the pressure of the English minority in Québec. These provisions denying Québec the right to enact legislation protecting its language and culture were included in a Bill of Rights. As a result, 200 articles of Bill 101 had to be modified following a string of court proceedings. CONSIDERING THIS troubled history, it isn’t difficult to understand why a significant movement of conservative Québec nationalism could develop through the 1990s and 2000s around a rejection of everything Canada claimed to stand for – including the 1982 Bill of Rights and the policy of multiculturalism. Canada has allowed anti-French racism to marginalize French minorities in other provinces for generations. It has used false accusations of racism and human rights violations to undermine the ability of the Québec government to protect the French character of the only territory with a French-speaking majority. It’s remarkable that the main organizations targeted by that colonialist rhetoric have resisted a turn toward conservative ethnic nationalism until 2007, when the “reasonable accommodation” debate propelled the third party at that time – the Action Démocratique du Québec, now known as the Coalition Avenir Québec – into second place in the elections, in front of the PQ. Only the wave of Islamophobia taking over the world after the 9/11 attacks was able to push Québec nationalism in that direction. Its lowest point so far has been the Charter of Values proposed by the PQ government in 2013. Fortunately, that minority government was brought down before the Charter of Values could be passed into law. But both CAQ and PQ – whether on their own or as part of a coalition – could bring back a similar legislation if they win the next election, scheduled for October 2018. Québec Solidaire can and must provide a rallying point for those who reject this Islamophobic and ethnic nationalist trend – and who want our independence project to be about more democracy and more rights, not less. In order to do so, we have to clarify and sharpen our criticism of Bill 62 and of the current proposals by the PQ and CAQ for a new version of the Charter of Values. These are unpleasant and often frustrating debates. But our ability to swim against the stream and oppose commonly held assumptions and prejudice is at stake. Not meeting this challenge would be a failure of historic proportions for QS and possibly the beginning of the end for its entire political project. It would also signal the likely failure of any further struggle for independence. Québec will become a nation based on democratic principles and an inclusive definition of its collective identity – or it will slowly leave the stage of history and become a quaint tourist attraction for bored North American consumers. Responses to the new law have been complex and even sometimes confusing. The most positive was a series of actions by individuals and small groups in solidarity with the women targeted by the new law. People went to bus stops or subway stations wearing anything that could cover their faces. One bus driver was bold enough to do it while working. When it comes to broader public opinion, polls have shown that about two-thirds of Canadians outside of Québec would approve if a similar law was passed in their province or at the federal level. Support in Québec itself was measured at 87 percent. The main factor determining this difference is probably the alignment of political parties and the media. In Québec, all four parties in the National Assembly have stated at one point or another that they approve of the basic principle of demanding that people show their faces when providing or receiving public services. The opposition from Québec Solidaire has been focused, as I mentioned, on aspects of the implementation of such a principle for users of specific services like health care or public transit. The same goes for the mass media, where most opinion pieces were supportive of the law and many advocated a more restrictive legislation, as the PQ and CAQ are proposing. In English Canada, there is a clash between the majority of public opinion and the political and media establishment. Only the Conservative party has argued for this type of legislation, notably during the 2015 federal election, which they lost. The Liberals and NDP have argued strongly against Bill 62. So did most editorialists in major English language newspapers. The main debate among those opposed to the law has been about whether the federal government should actively challenge it in court or just wait for a legal challenge to emerge from civil society within Québec. I would argue that the position of the new NDP leader, Jagmeet Singh, is the right one: to squarely oppose the law but leave it to Québec society to figure out. The direct involvement of the federal government would probably make things worse politically by fueling the notion, already hammered on by conservative nationalists, that the defense of individual rights is a strategy on the part of the Canadian state to undermine Québec collective self-determination and identity and impose the multicultural model. It is from Québec’s own defenders of human rights and progressive forces that the oppostion to the law should be organized. Last but not least, the most spectacular event coming after the passing of the Bill was the press conference given by the person in charge of the issue, Justice Minister Stéphanie Valée, with the stated goal of clarifying how the Law would be implemented. In a series of interventions reminecsent of a Monthy Python skit, she explained that if a woman wearing a niqab wanted to take the bus, she would only have to remove her veil for the bus driver if her bus pass has a picture. Then she would put it back on and proceed with her travel. But if she paid with tickets, cash, or a transit pass with no picture, she should just get on the bus as usual. She also pointed out that the law includes no specific sanctions and that there will be no face covering police. Overall, she basically argued that removing the veil would only be required when identification of the person is mandatory. Which was already the case in many situations before the law was passed. So why all that political drama? The only rational explanation is that the Liberals wanted to be seen as doing something to respond to ordinary Islamophobia as it has been expressed in public discourse since 2007. But what they did with that Law is fuel the irrational fear of Muslims by implying that these few women are a threat to our institutions and our society. Shame on them. Benoit Renaud is a member of Québec Solidaire. This is an expanded version of an earlier article that appeared at socialistworker.org.